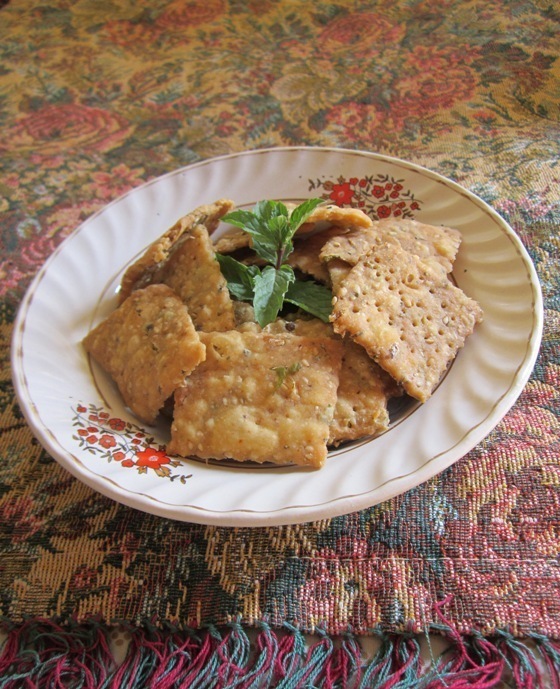 Mathri recipe / How to make crispy mathri recipe with step by step pictures. Hii!! 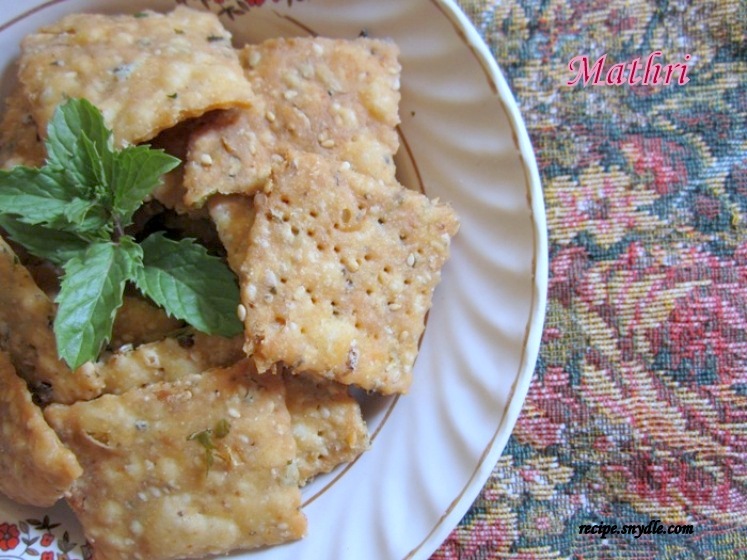 Buddies today I am sharing mathri recipe with you. 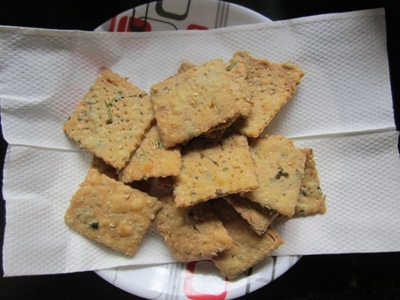 Mathri is a north Indian snacks. Mathri is a spiced cracker, made up of maida/refind flour but here I have also added wheat flour and sooji/semolina to it. 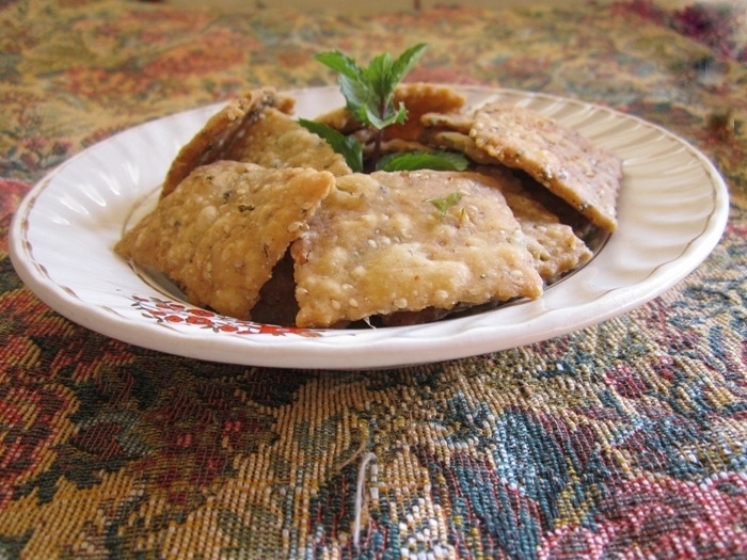 Scrumptious and crispy mathris mystery lies in the masala or ingredients used to prepare dough and its frying method. Dough prepared should not be too soft but a little hard. 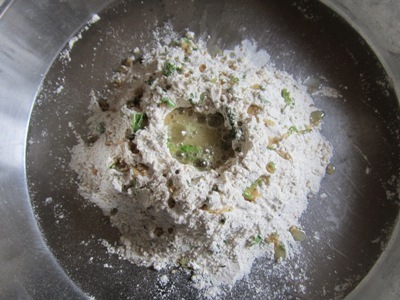 Do not allow the dough to rest nor knead it for long time. 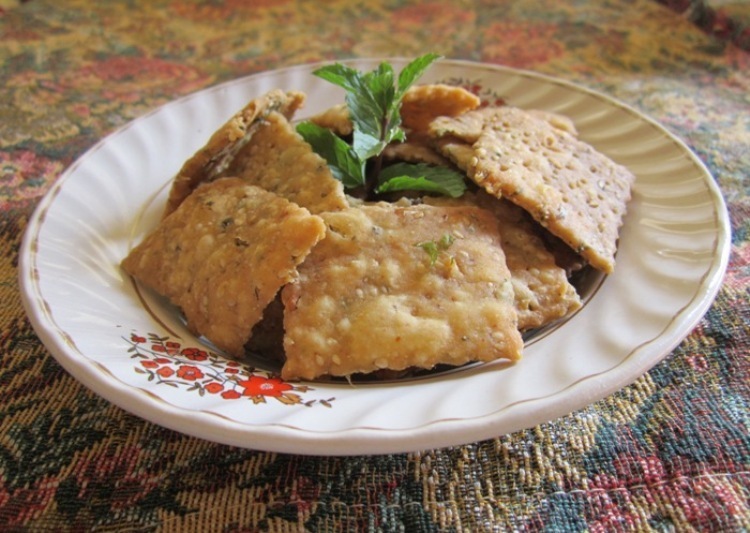 Baked mathri recipe is healthier version but fried mathri recipe is more preferred. The colour of the baked mathri is of light shade but it too tastes delicious. 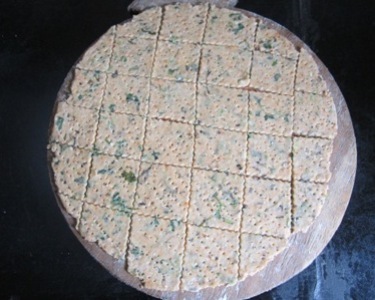 Cornflour and sesame seeds provide cripy texture to mathri. Kasuri methi gives good aroma and Punjabi flavour to the mathri. 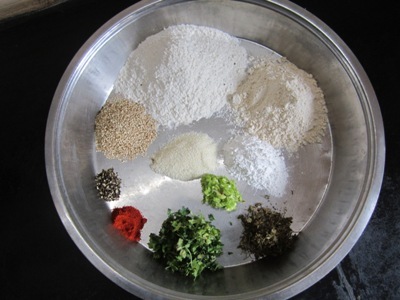 Spicy flavor of mathri comes from the black pepper and garlic-green chilli paste. 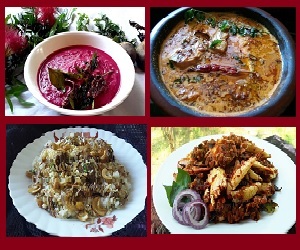 Although many food items get spoil if carried along and can cause severe health issues. Even can’t rely on packed food items. 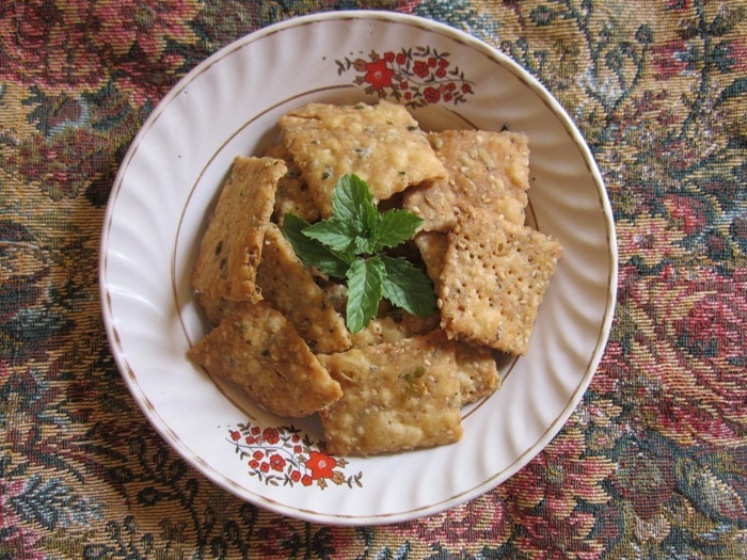 Mathri is a snack that can be carried and consume while traveling. Mathri is usually had with tea, coffee, ketchup and pickle. It is also called as tea time snacks. Mathri has a good shelf life and could be stored for few weeks in an air tight container. Kids love to have spicy and salty snacks. Here we have good homemade snacks for kids which gives them healthy calories that comes from wheat flour, cornflour and suji/semolina. Kids like snacks of different shapes and mathri could be made in different hape like star , moon, sun, flower and so on. For the purpose of measurement, 1 cup = 250ml. Lets see how to prepare cripy mathri. How to make Mathari recipe. Heat a pan and off the flame. 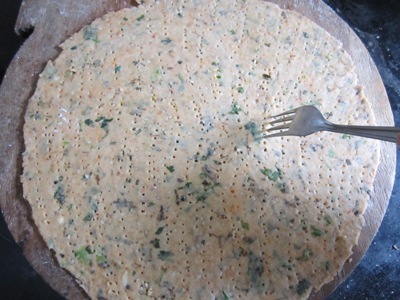 Now add kasuri methi/dried fenugreek leaves to the hot pan and roast it. 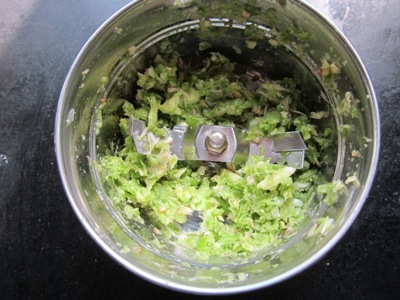 Prepare garlic and green chilli paste. 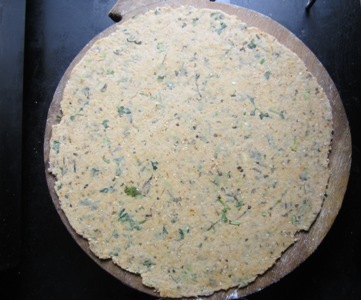 Now in a plate take maida/refined flour, wheat flour, corn flour, rawa/suji/semolina, sesame seeds, black pepper, red chilli powder, kaoori methi/dried fenugreek leaves, coriander leaves, garlic and green chilli paste. Mix it well. Add hot oil to the mixture. 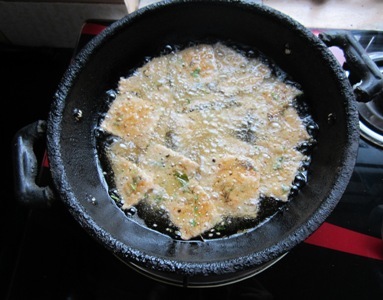 Take care, first mix it with spoon as the oil is hot. 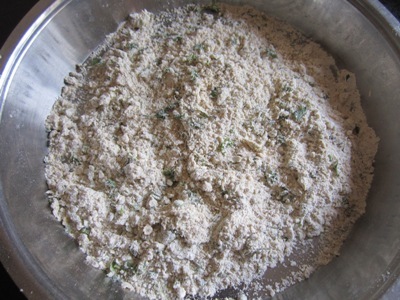 Then use your hand to mix it well till the mixture gets crumbly. 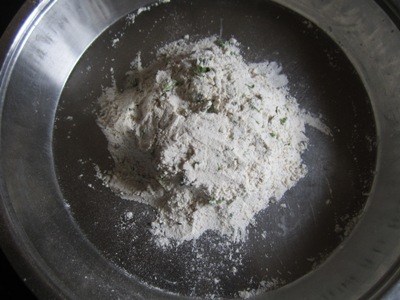 Prepare hard dough. Do not allow the dough to rest. 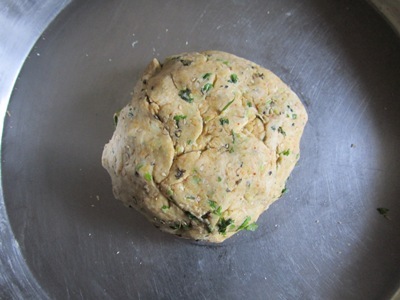 Divide the dough into equal parts. Place it on dusted board and roll it with the help of rolling pin in circle shape. Roti must be of medium consistency not too thick or too thin. Now with the help of fork prick on roti. Cut the mathari with the help of cutter in square shapes or in different shapes of your choice. Take a skillet. 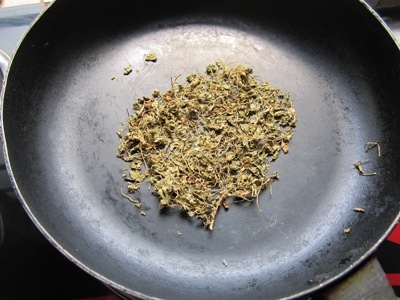 Add oil to the skillet and heat it on high flame. Place mathari to hot oil and reduce the flame to low. After 5-6 minutes again increase the flame and fry mathari till it gets good golden brown colour. Remove the mathris on tissue paper to drain excess oil. Mathari is ready to serve and garnish it with fresh pudina/mint leaves. Store mathri in air tight container and enjoy!